The average cost of memory care in Saint Lucie County is $4,186 per month. This is lower than the national median of $4,650. Cheaper nearby regions include Indian River County with an average starting cost of $4,074. To help you with your search, browse the 1 review below for memory care facilities in Saint Lucie County. On average, consumers rate memory care in Saint Lucie County 4.0 out of 5 stars. Caring.com has helped 6 families in Saint Lucie County find high-quality senior care. To speak with one of our Family Advisors about memory care options and costs in Saint Lucie County, call (855) 863-8283. Waived Community Fee for Independent Living and Memory Care Apartments! Saint Lucie County is on the western coast of the Florida panhandle, with a county seat of Ft. Pierce. The county has a population of 313,506, including 23.6 percent, or about 78,000 residents, who are age 65 or older and in the primary age bracket for Alzheimer's disease. 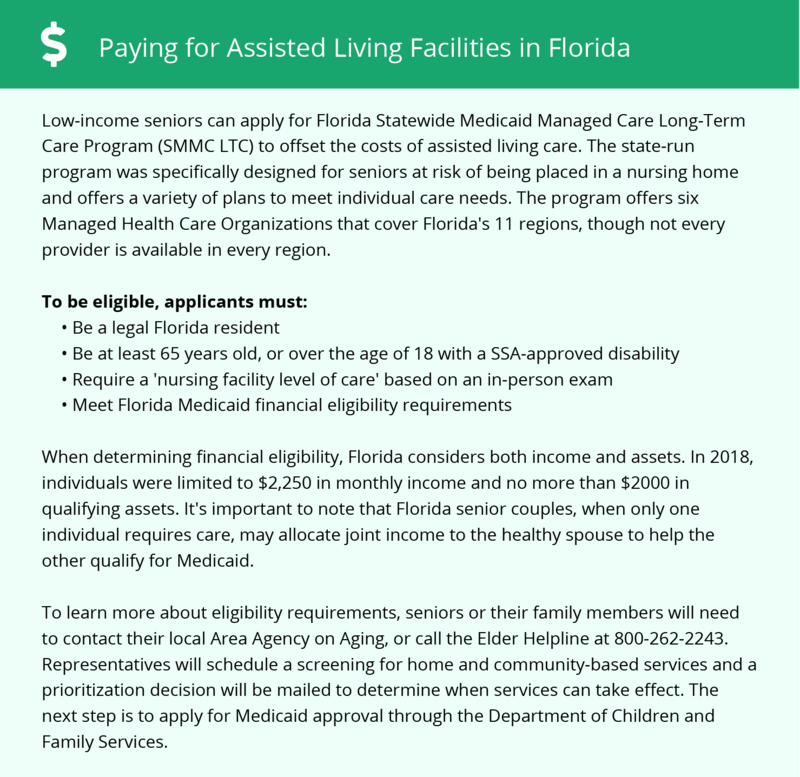 The Florida Agency for Health Care Administration is in charge of licensing and regulating assisted living facilities that supervise seniors with dementia as Extended Congregate Care facilities, or ECCs. In Saint Lucie County, Fort Pierce and Port St. Lucie each have one ECC. Saint Lucie County never receives snow and gets 51 inches of rainfall yearly, compared to the U.S. average of 39 inches. It has 238 sunny days per year, while an average U.S. city has 205. Seniors with joint pain or respiratory problems can appreciate the temperate climate, where winter lows fall to a balmy 52 degrees, and summer highs reach 91. Saint Lucie County earned 86 out of 100 in Sperling's Comfort Index. Crime is rated on a scale with one being the safest area and 100 representing the most dangerous. The national average for violent crime is 31.1, and Saint Lucie County's ranking is 14 points lower at 17. Property crime in the U.S. averages 38.1, as compared to 29.2 in Saint Lucie County. Seniors with dementia can benefit from the extra security an ECC provides, such as self-locking doors, cameras and guards. Florida does not impose a state income tax and has other tax laws that favor seniors, especially those on a fixed income. The money that families might have used for taxes can be spent on daily living expenses and continued care for seniors in an ECC. Cost of living estimates are based on a national median of 100. Saint Lucie County's overall cost of living is 107.1, and healthcare, in particular, is 101, so expenses may not rise dramatically after placing a relative in an ECC. Families should keep that in mind when searching for a facility in Saint Lucie County. Memory Care costs in Saint Lucie County start around $4,186 per month on average, while the nationwide average cost of memory care is $4,800 per month. It’s important to note that memory care rates in Saint Lucie County and the surrounding suburbs can vary widely based on factors such as location, the level of care needed, apartment size and the types of amenities offered at each community. Saint Lucie County and the surrounding area are home to numerous government agencies and non-profit organizations offering help for seniors searching for or currently residing in an assisted living community. These organizations can also provide assistance in a number of other eldercare services such as geriatric care management, elder law advice, estate planning, finding home care and health and wellness programs. To see a list of free memory care resources in Saint Lucie County, please visit our Assisted Living in Florida page. Saint Lucie County-area assisted living communities must adhere to the comprehensive set of state laws and regulations that all assisted living communities in Florida are required to follow. Visit our Memory Care in Florida page for more information about these laws.